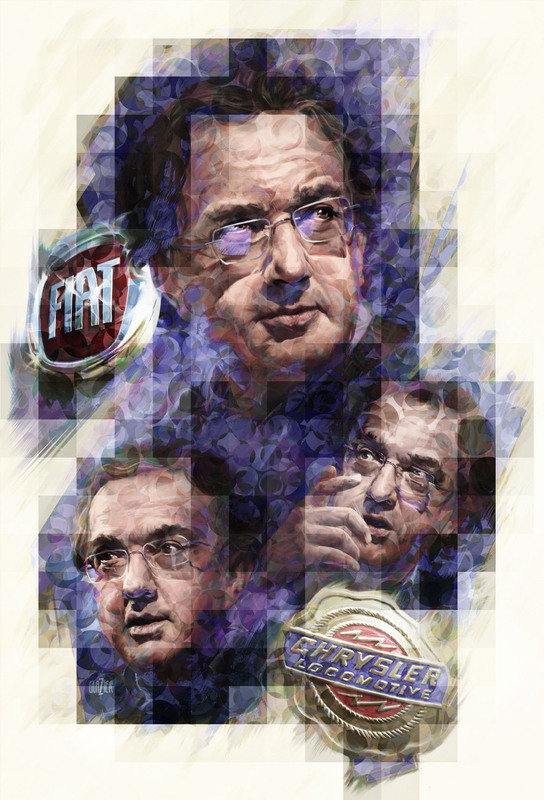 This portrait montage of Sergio Marchionne is a the result of a recent experiment I undertook with students in deconstructing a painting and re-assembling it using Photoshop filters. 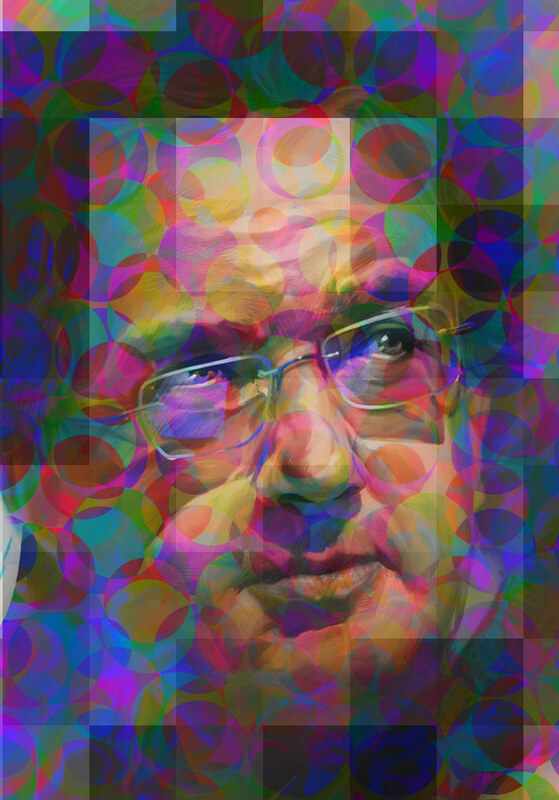 The effect I was going for was an blend of Op-Art and Impressionism. 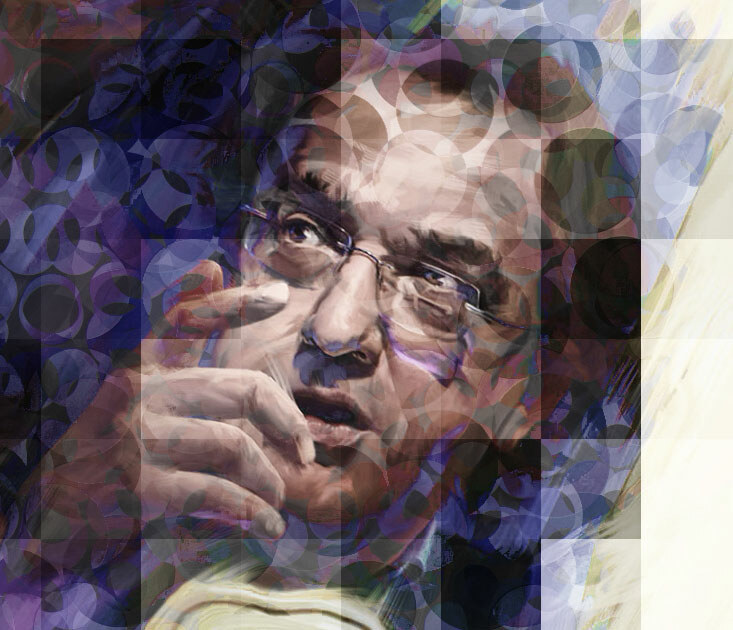 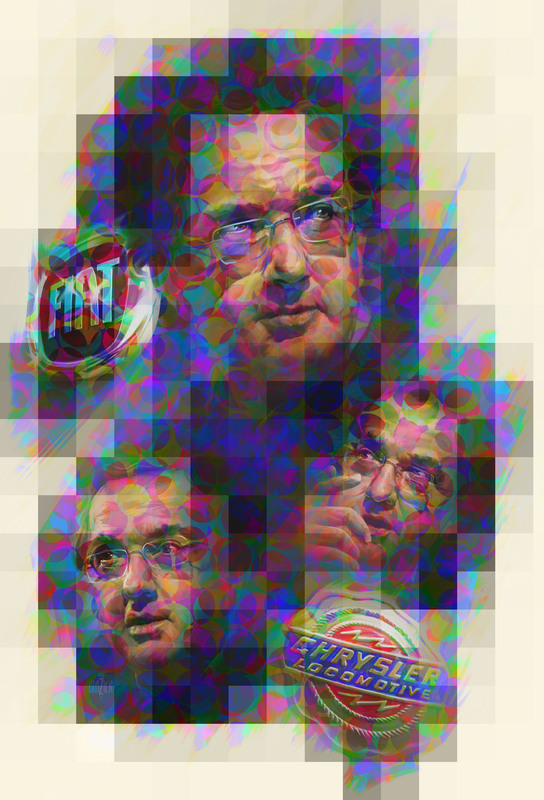 This series of portrait paintings of Chrysler Chairman Sergio Marchionne are a the result of a recent experiment I undertook with students in deconstructing a painting and re-assembling it using Photoshop filters. The effect I was going for was an blend of Op-Art and Impressionism. 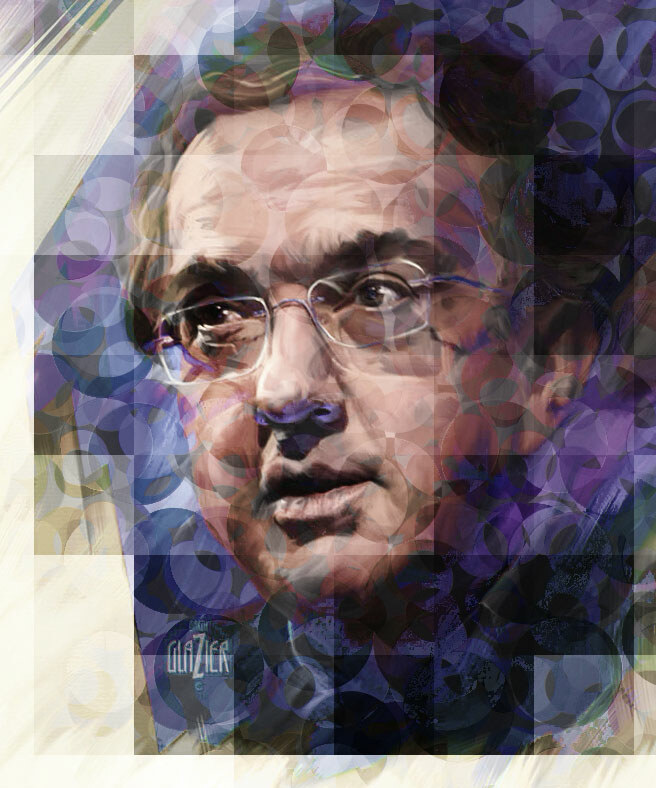 The original painting appears last in this set and provides a benchmark indicating how dramatic the transformations became as the series progressed. A combination of matrix squares and oversized halftone pixels this variant fractures the painting into a grid. 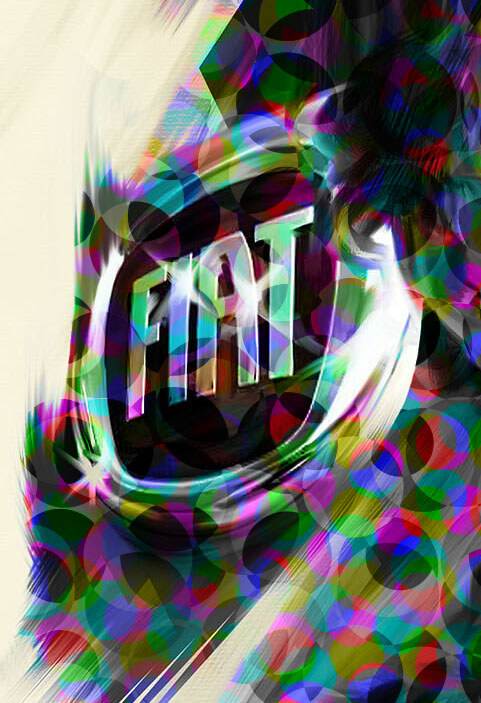 The next set of varaiants used only halftone dots to fracture the painted surface. 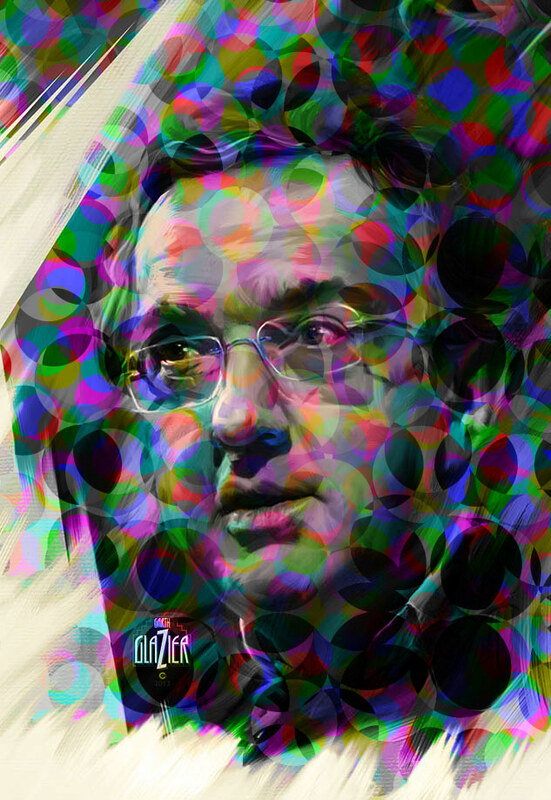 Multiple layers of dots were blended and set to different color ranges.